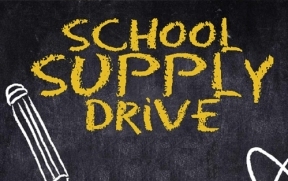 Marquette Bank is celebrating the back-to-school season with its annual School Supply Drive. Customers, employees, neighbors and businesses can donate school supplies at any of Marquette Bank’s 22 locations through Aug. 9. All items collected will be donated to local schools and students in need. Call (888) 254-9500 for details. Marquette Bank will host a two-part free personal finance class at the Marquette Bank located at 6316 S. Western Ave. in Chicago. These classes will cover the basics of budgeting monthly expenses, maintaining a checking account, paying bills on time, and understanding credit and banking. Session 1 will be held on Aug. 9 from 9 a.m. to noon and Session 2 will be held on Aug. 16 from 9 to 11 a.m. Seating is limited. To register, call (773) 918-4624. Marquette Bank will host a back to school free kids party at the Marquette Bank located at 9503 S. Roberts Road in Hickory Hills. Enjoy family fun, games, prizes and refreshments from noon to 1:30 p.m. Event is open to the public. For more information, call (708) 430-5298.